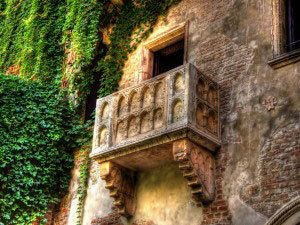 The Villa Barbaro, also known as Villa di Maser, is located on the foot of the Asolo Hills about 50 km from Venice. 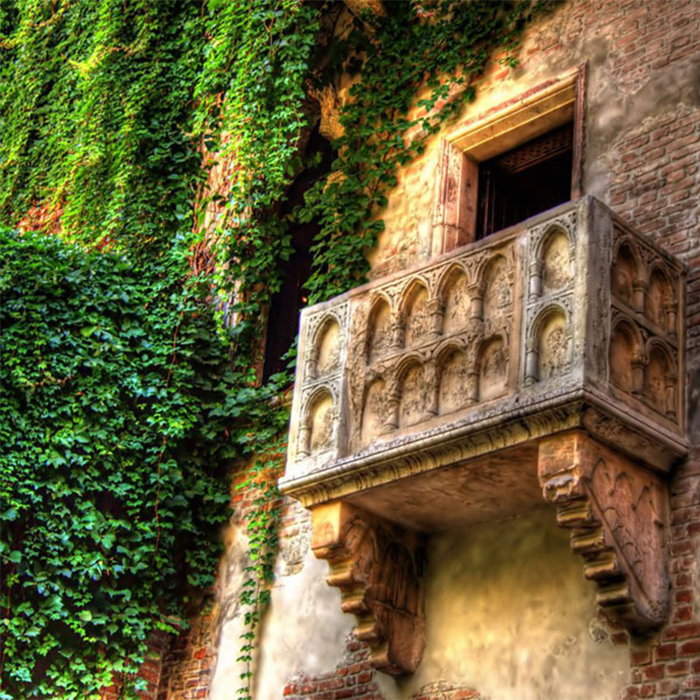 The villa was designed by the great Italian architect Andrea Palladio in 1560. Although its model is close to resurgent Roman villas like Villa Giulia or Villa d'Este in Tivoli, Palladio managed to combine the elegance of a summer villa with the practicality of a farm, seamlessly connecting the service area to the main building with large arcades. 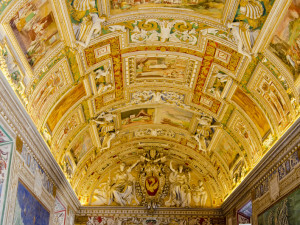 The artist Paolo Veronese decorated the interior with many influential frescoes while Alessandro Vittoria contributed stunning stucco decorations and several sculptures. 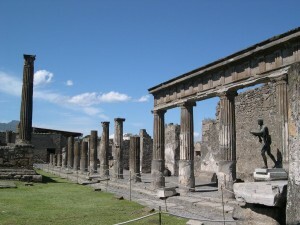 The villa was registered as a UNESCO World Heritage Site in 1996. 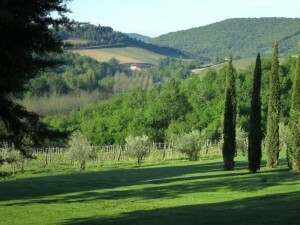 Today, it is at the center of an agricultural holding known mainly for the production of wine named after the villa. 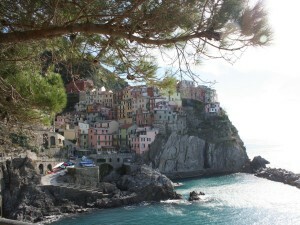 Category: Sightseeing Tours of Veneto and Prosecco Road. 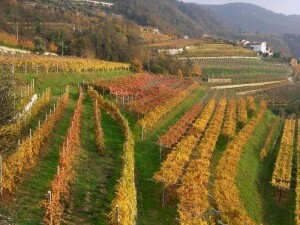 Tags: Day Trips From Venice, prosecco wine road, Veneto, Villa Barbaro, Villa emo, Villa MAser, Wine Tasting. 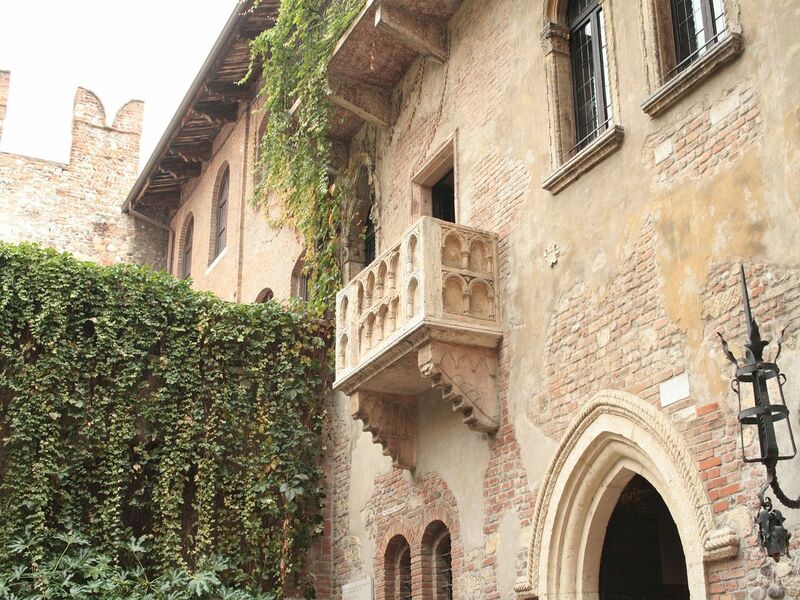 The Barbaro family ordered the construction of this villa in the mid-1500s. 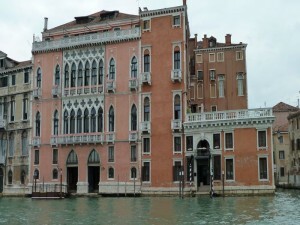 Over the years, the villa passed on to the Trevisan family and later to the Basadonna family from whom Lodovico Manin, the last Doge of Venice, came from. 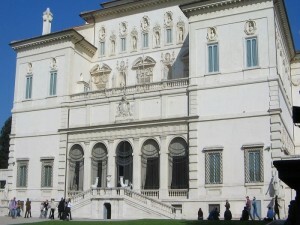 The villa fell into disrepair during the early 19th century but was eventually bought and renovated by wealthy industrialist Sante Giacomelli. 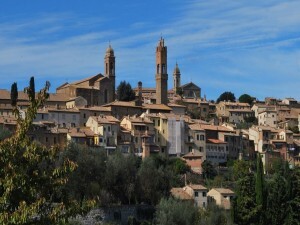 During the First World War, the villa was occupied by Italian forces who used it as headquarters and outpost. 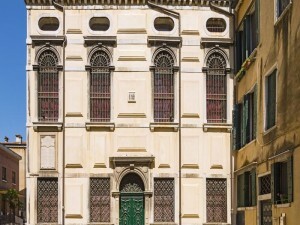 In 1934, the villa was purchased by Giuseppe Volpi di Misurata who continued to restore it; his descendants still live there today. Andrea Palladio also built the Tempietto Barbaro, a small church that served both the villa and the nearby village of Maser. 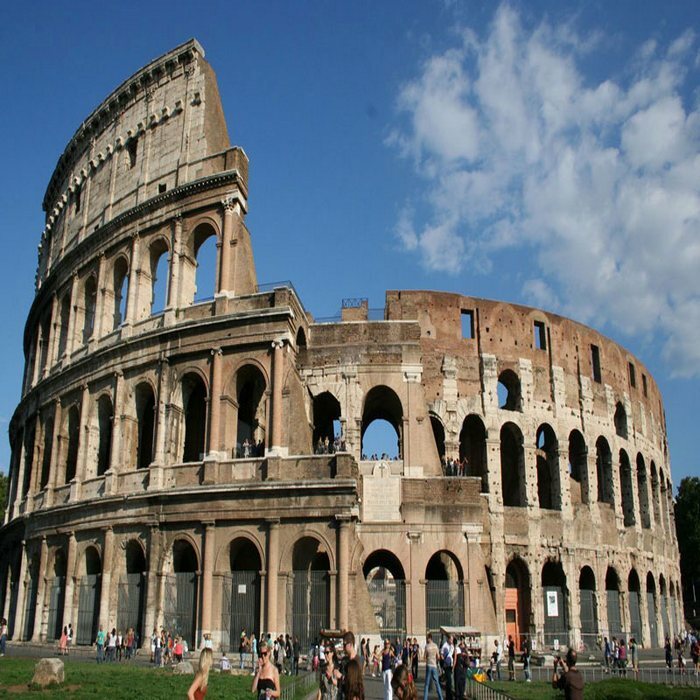 It is a compact domed structure with a temple front reminiscent of the Pantheon in Rome, two small bell towers prefacing the dome. 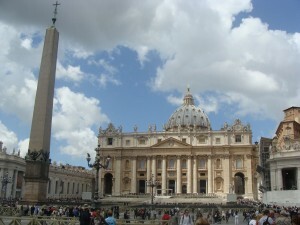 It is likely that the church faced a small plaza which has long since been paved over. 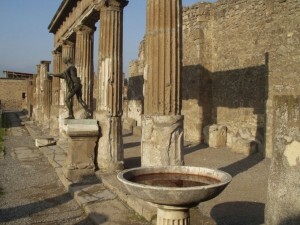 Another particular feature of the Villa Barbaro is the Nymphaeum located behind it. 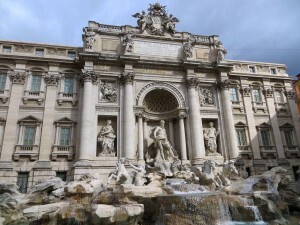 These large monuments are typical of Roman gardens and were originally dedicated to the local water nymphs. 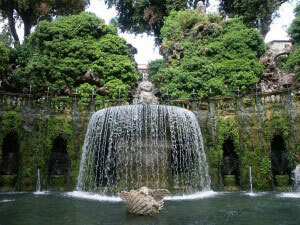 The one at Villa Barbaro is decorated with several statues and frames a spring water fishpond. Designed and built in the mid 16th century by the Italian architect Andrea Palladio, Villa Emo is one of Palladio’s best works and a countryside jewel. In fact, it was registered as a UNESCO World Heritage Site in 1996, along with Villa Barbaro, another of Palladio’s edifices. Located in the lush Veneto region of Italy, some 40 km from Venice, Villa Emo is a simple yet elegant union of summer palace and working farm. 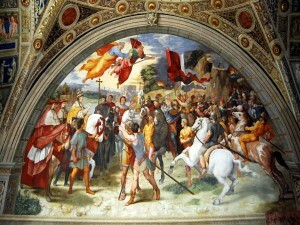 Devoid of embellishments on the outside, conversely the interior is richly decorated with frescoes by the late Renaissance artist Giovanni Battista Zelotti. These frescoes celebrate mythological scenes as well as agricultural life, noble virtues, family and fertility. 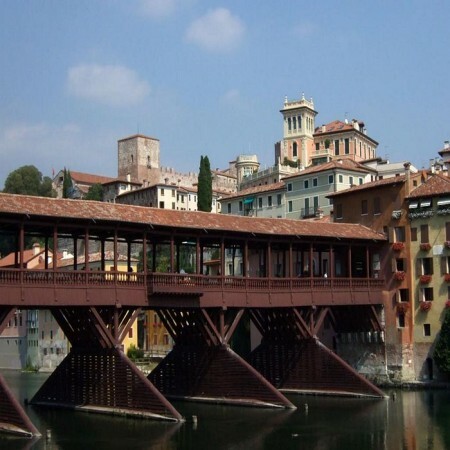 Bassano del Grappa is a modest town in the Veneto region, located north of Venice and built between the foothills of the Venetian Prealps and the bank of the Brenta River. 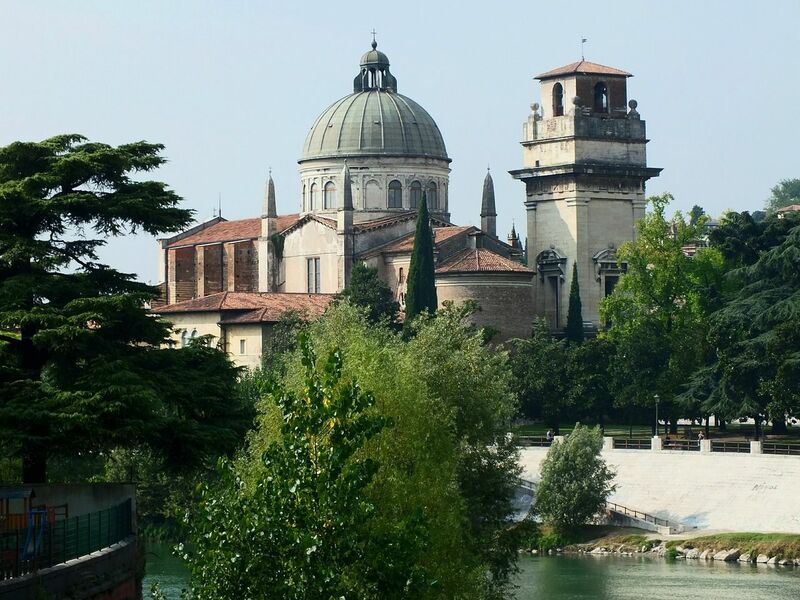 The 16th century painter Jacopo Bassano lived, worked and died in this town, even adopting its name as his own. 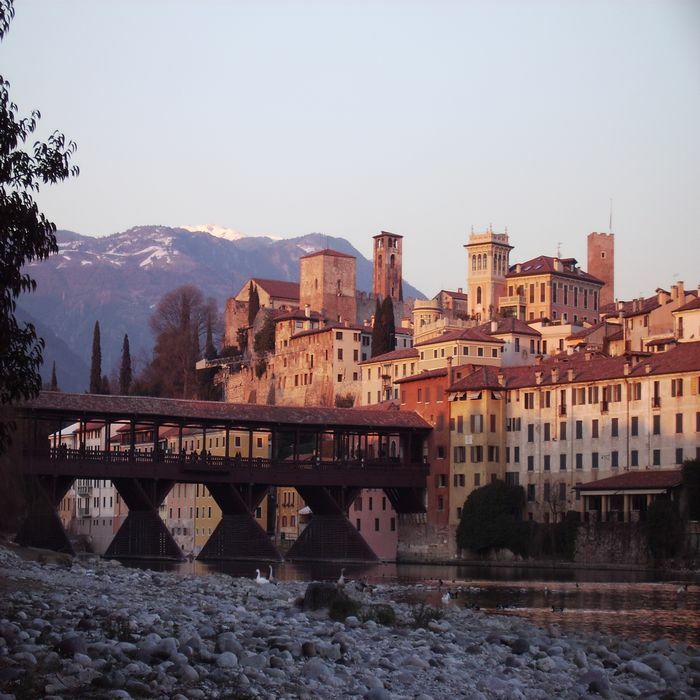 Bassano del Grappa is also famous for the invention of the Grappa, a strong, pomace-derived spirit traditionally enjoyed after dinner as a digestif. 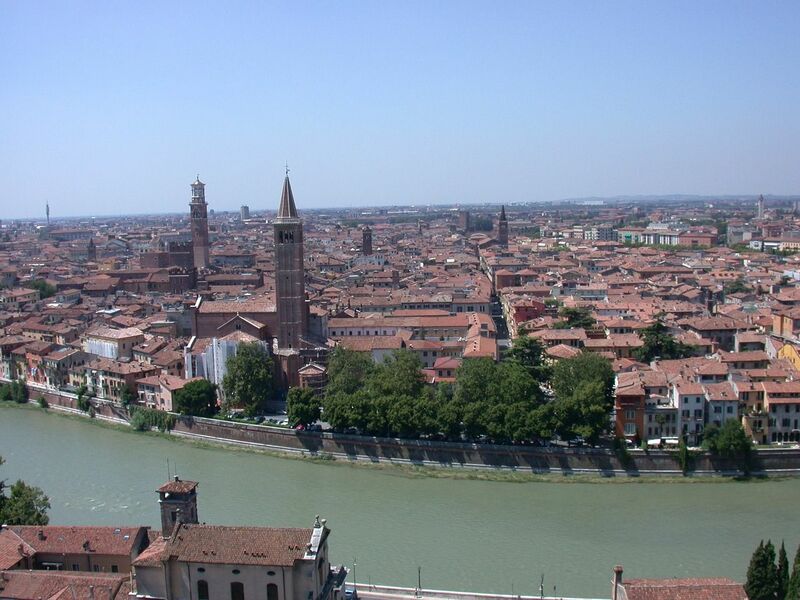 Bassano was founded as an agricultural estate in the 2nd century BC by a Roman called Bassianus, who then gave his name to the city. Over the centuries it flourished thanks to trade and its industry of wool, silk and metals. 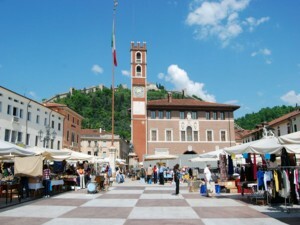 Its history remains relatively quiet up until the French Revolutionary Wars, when the town because the site of the Battle of Bassano in 1796. Napoleon Bonaparte is said to have remained in Bassano del Grappa for many months. 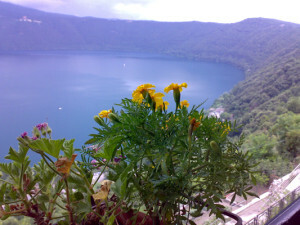 Category: Sightseeing Tours of Veneto and Prosecco Road. Tags: Bassano del Grappa, Day Trips From Venice, prosecco wine road, Veneto, Wine Tasting. 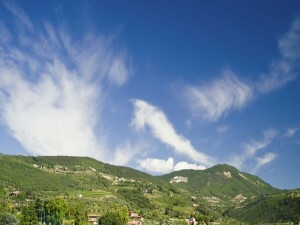 Again, Bassano became the site of more, violent battles during World War I; many soldiers lost their lives on the nearby Mount Grappa. 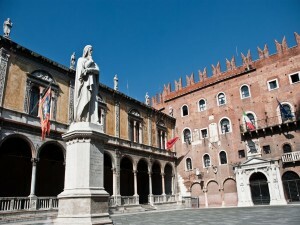 Originally called Bassano Veneto, the town changed its name in 1928 to Bassano del Grappa in honor of the dead soldiers. 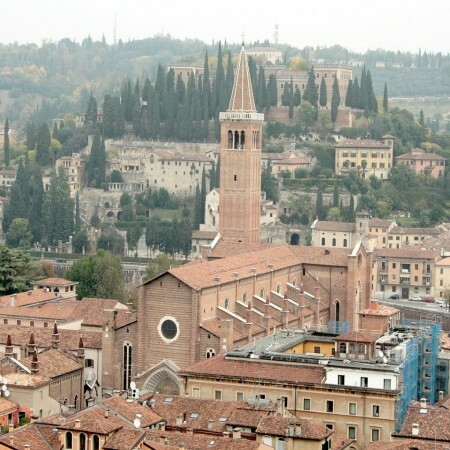 Interestingly, several American authors spent time in Bassano during the war, including Scott Fitzgerald, John Dos Passos and Ernest Hemingway. 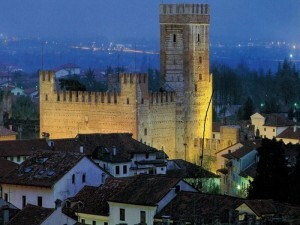 The latter settled in the town for a time and wrote his novel “A Farewell to Arms” based on his experiences. 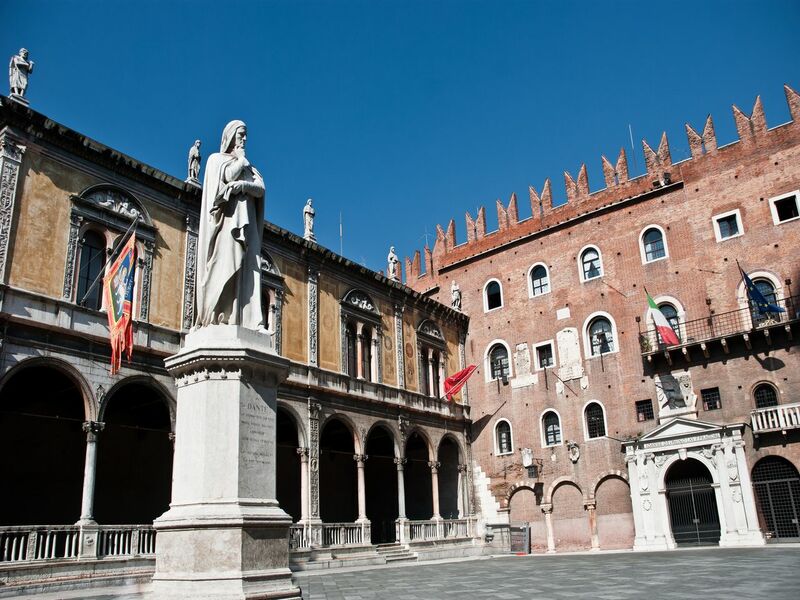 Bassano offers several lovely sights and historical attractions, such as the Duomo Santa Maria in Colle, a cathedral built in the early 2nd century and later renovated in a more Baroque style. 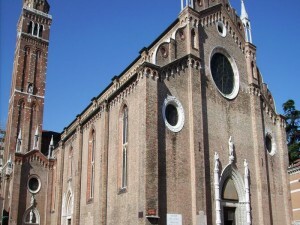 It is the oldest cathedral in the town and boasts a collection of works by Leandro da Bassano, Ottavio Marinali and other artists. 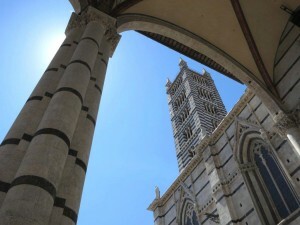 The Church of St. Francis, built in the 13th century in the Romanesque-Gothic style, rises above Piazza Garibaldi. 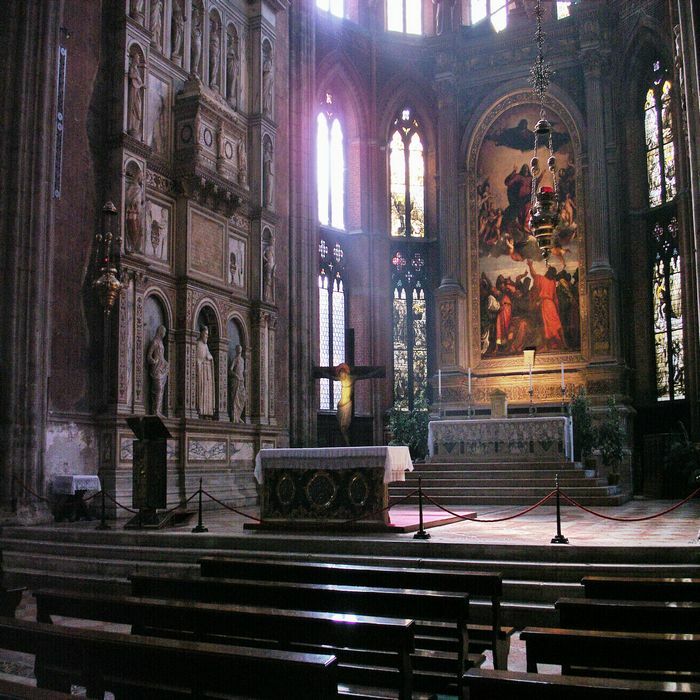 Within are 14th and 15th century frescoes, including “The Crucifixion” by Guariento di Arpo. 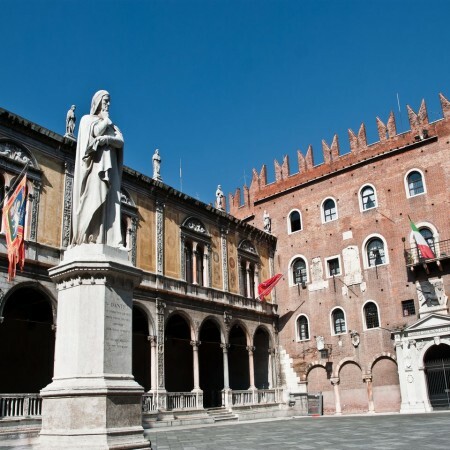 Nearby is the civic museum which hosts a collection of archeological artifacts as well as various works of art by Jacopo Bassano, Antonio Canova, Gian Lorenzo Bernini and Albrecht Dürer. 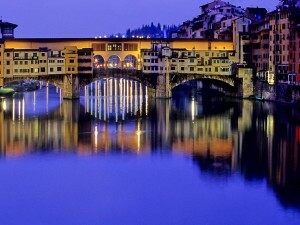 Finally, there is the Ponte Vecchio or Ponte degli Alpini, a covered wooden bridge that spans the Brenta River. 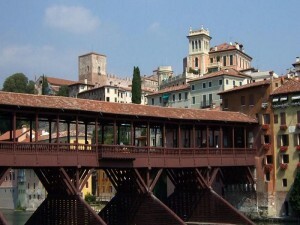 It was designed by the architect Andrea Palladio in 1569 to replace a pre-existing medieval bridge. 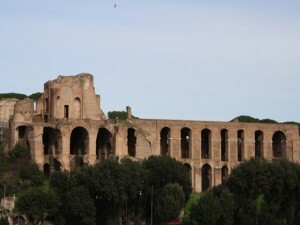 The bridge was destroyed many times, the last time occurring during World War II. 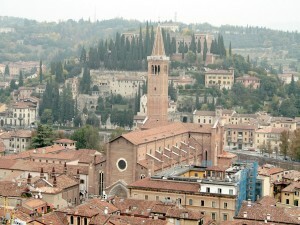 Also known as “The City of a Hundred Horizons”, Asolo is a small town located in the Veneto region. 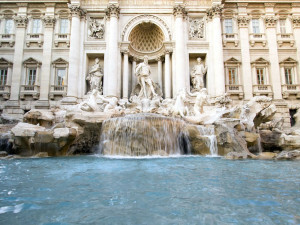 It is considered one of the nicest cities in Italy thanks to its culture, architecture and of course, fine cuisine. 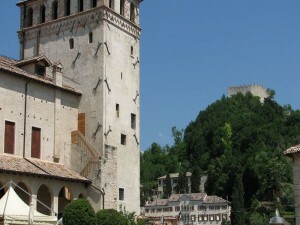 Surrounded by a rampart, Asolo is built around a hill with the fortress La Rocca erected on top, overlooking the whole town. 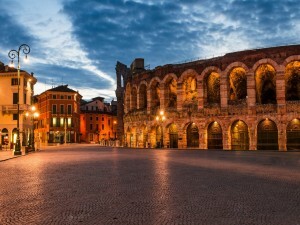 Old houses and narrow medieval streets with arches are the main components of the city. Thanks to the Alps, Asolo enjoys a mild climate, best enjoyed with a walk through its historical streets, passing under arches, or by visiting one of its many gardens and villas. This small city has always attracted artists, poets, writers and singers, inspired by its charm. 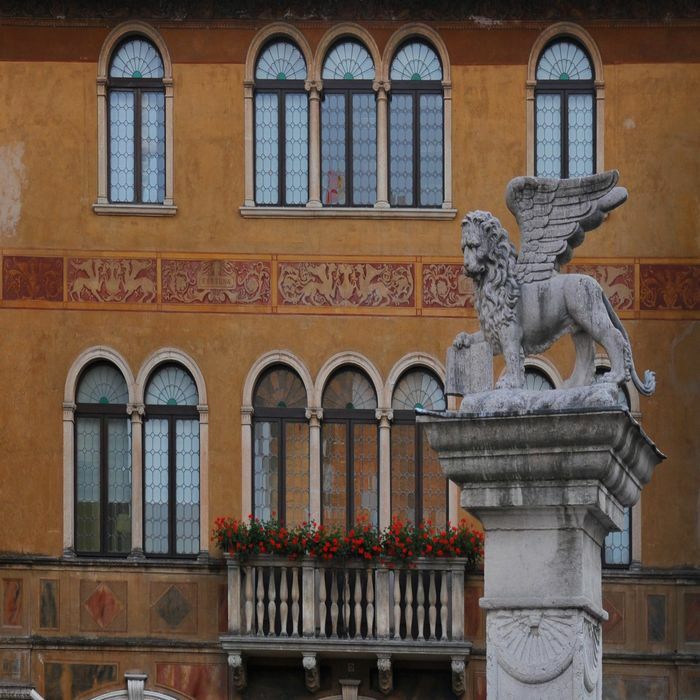 For instance the author Pietro Bembo wrote “Gli Asolani”, which makes a few references to Asolo, while the poet Robert Browning bought Villa Cipriani in 1889 and briefly lived in Asolo until his passing. 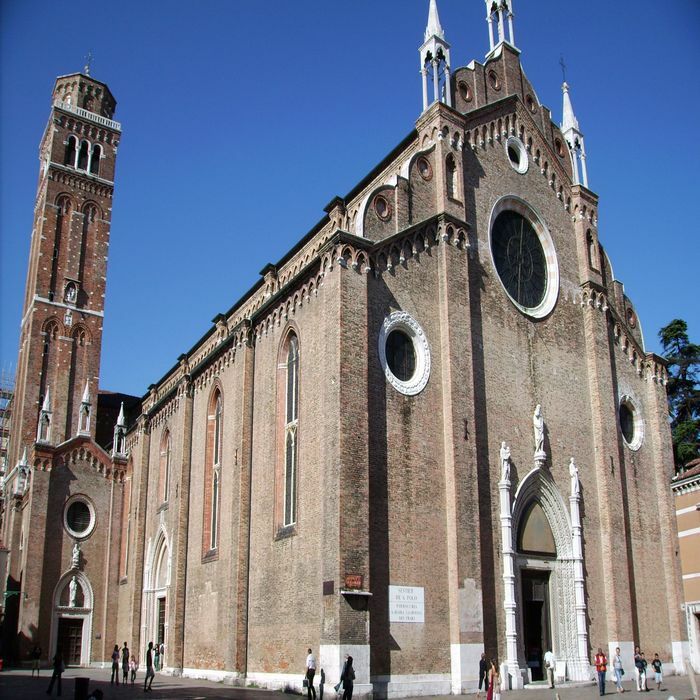 Category: Sightseeing Tours of Veneto and Prosecco Road. 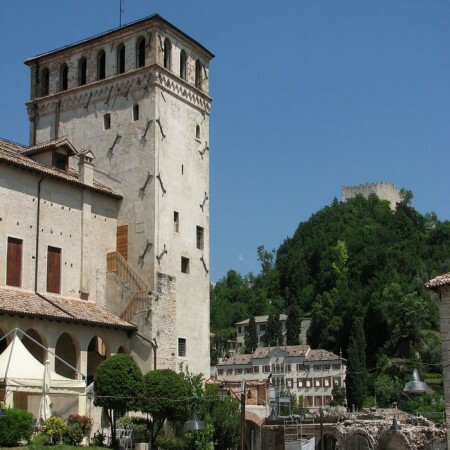 Tags: Asolo, Day Trips From Venice, prosecco, Veneto, Wine Tasting. 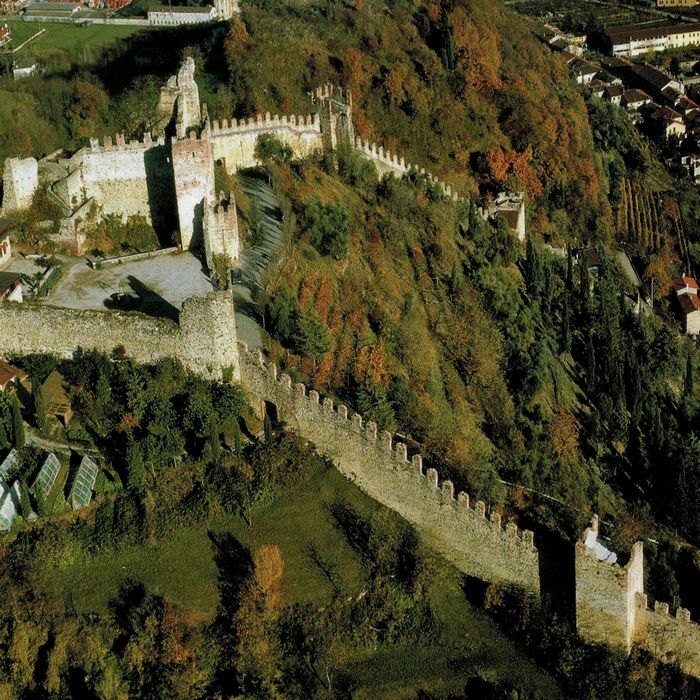 Visitors can explore the medieval fortress on top of the hill and continue their visit to the Civic Museum. Another interesting place to explore is the Castle of Queen Caterina Cornaro (the queen of Cyprus between 1474 and 1489). 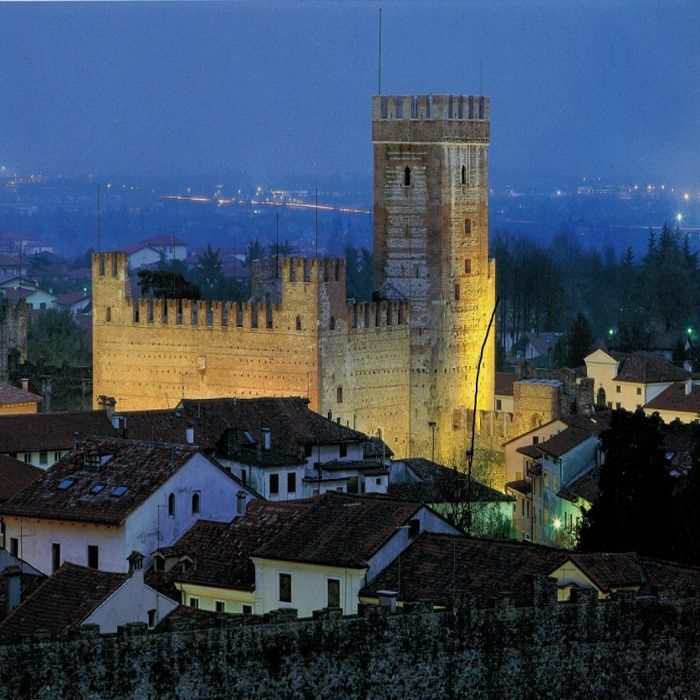 She stayed in this castle with her court during the 15th century and it later became her official residence. 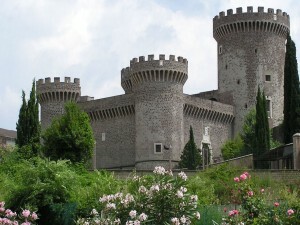 As the years passed, the castle of Queen Caterina Cornaro became the symbol of the Asolan countryside. 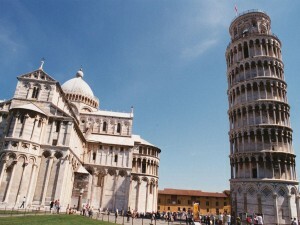 Three of its four towers still stand today. Finally, a visit in Asolo is not complete without stopping in one of its restaurant to enjoy a delicious Italian meal accompanied by tasty wines from the area such as the Asolo Prosecco Superiore, a dry yet sparkling white wine. 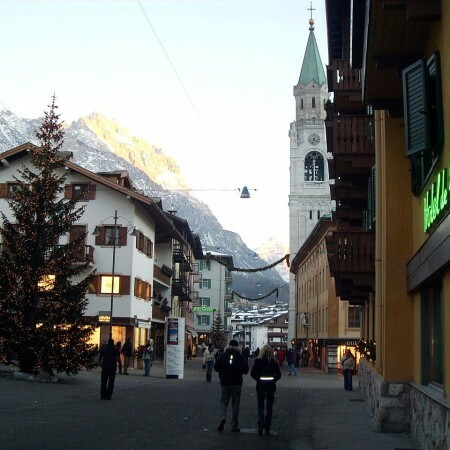 In the heart of the Dolomite Mountains, in a quiet valley, can be found a small city named Cortina. This city is the capital of the Dolomites, an area located in the north Veneto; it is only 44 kilometers away from the Austrian border. 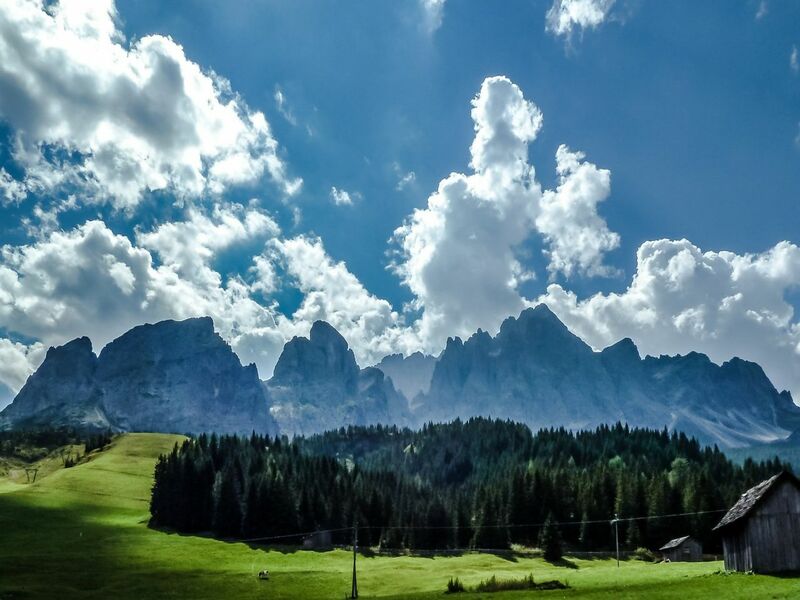 Cortina d’Ampezzo, as it is formally called, is situated in the province of Belluno, 1210 meters above sea level. 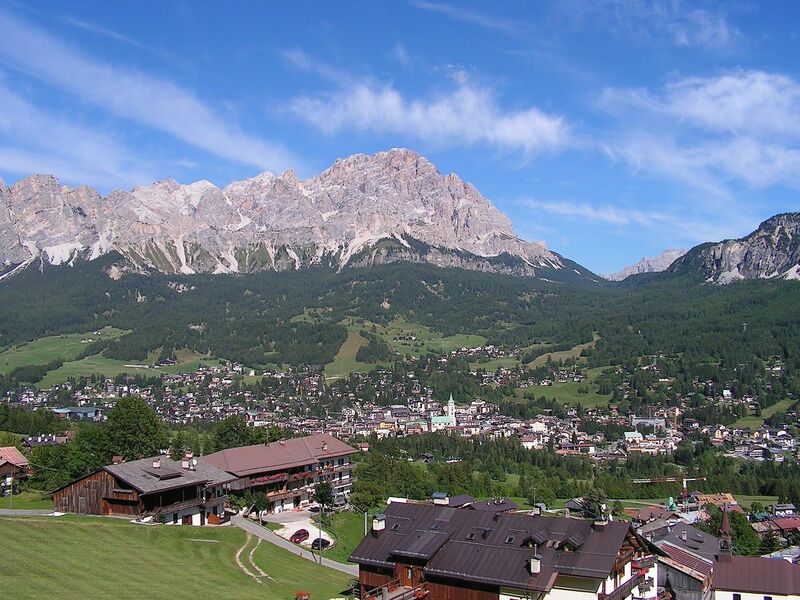 Considered to be one of the Dolomites’ treasures, Cortina is well known for its VIP tourists and its luxury hotels. 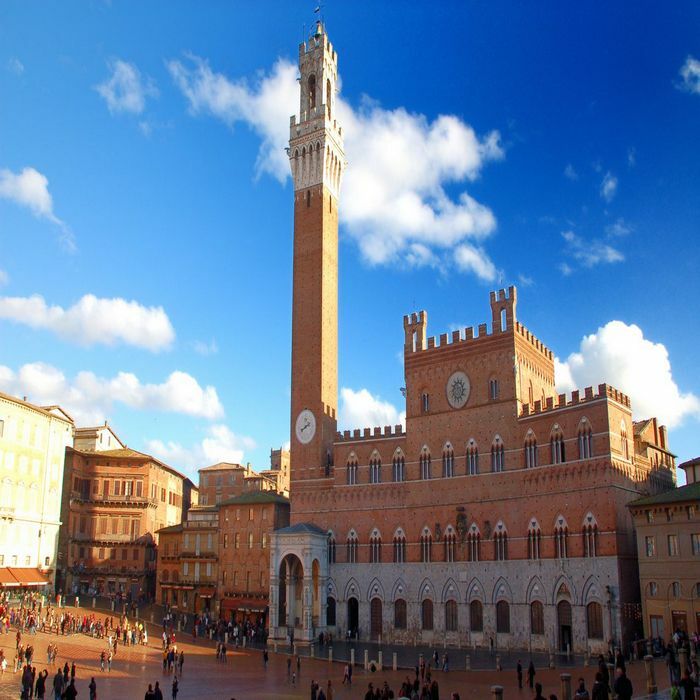 The city has a lovely ancient city center while the main street, called Corso Italia, is composed of several luxury shops. 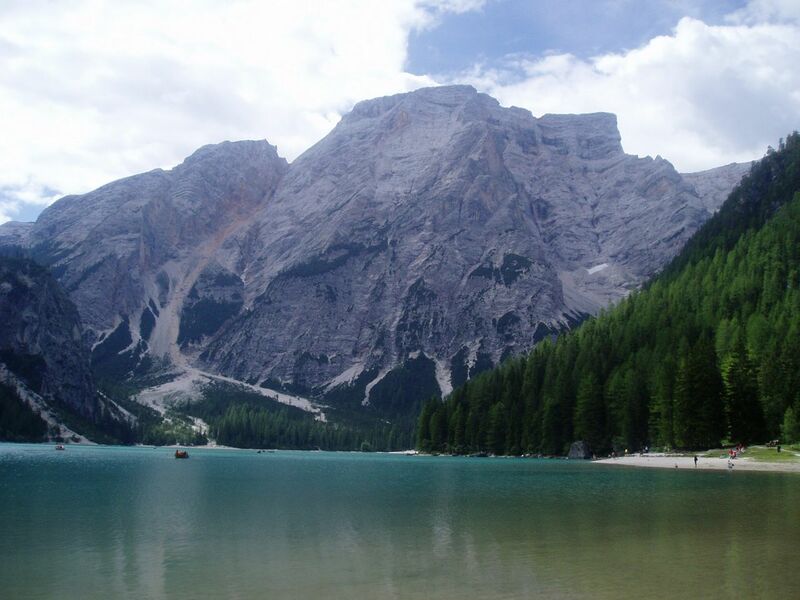 While Cortina is traditionally an elegant and trendy ski resort, it is also very agreeable during the summer. 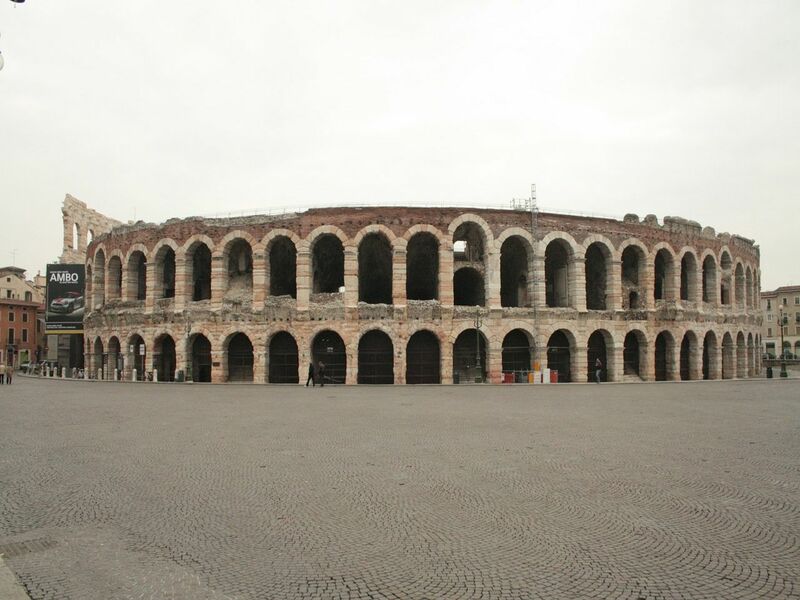 It was the first Italian city to host the Winter Olympic Games in 1956. 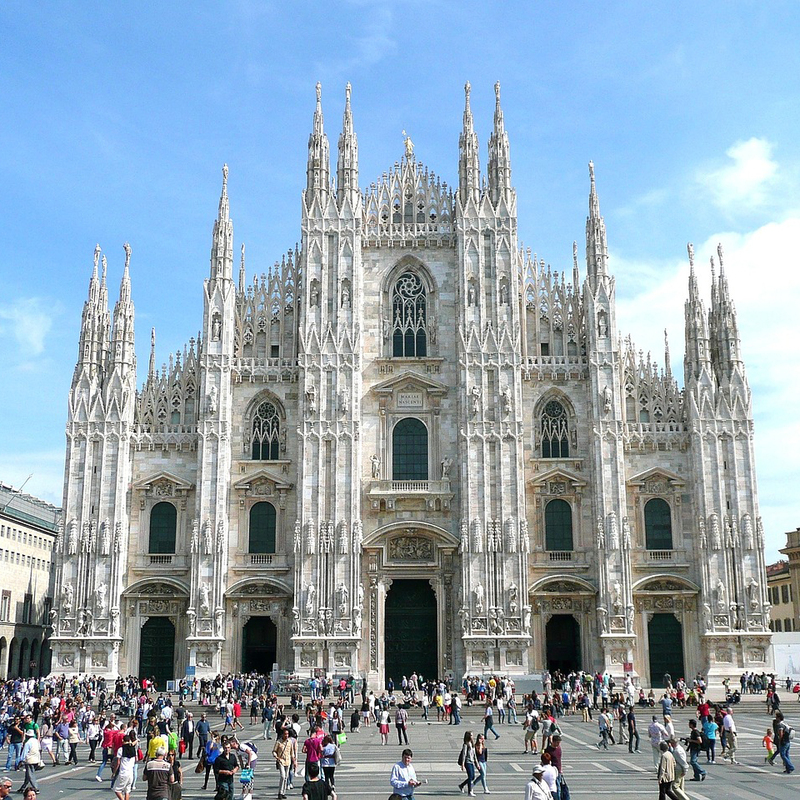 Category: Sightseeing Tours of Dolomities. 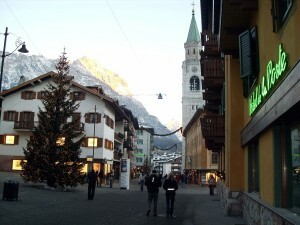 Tags: Corso Italia, Cortina, Day Trips From Venice, Dobbiaco, Dolomities, Lake Misurina, Veneto, winter polo. 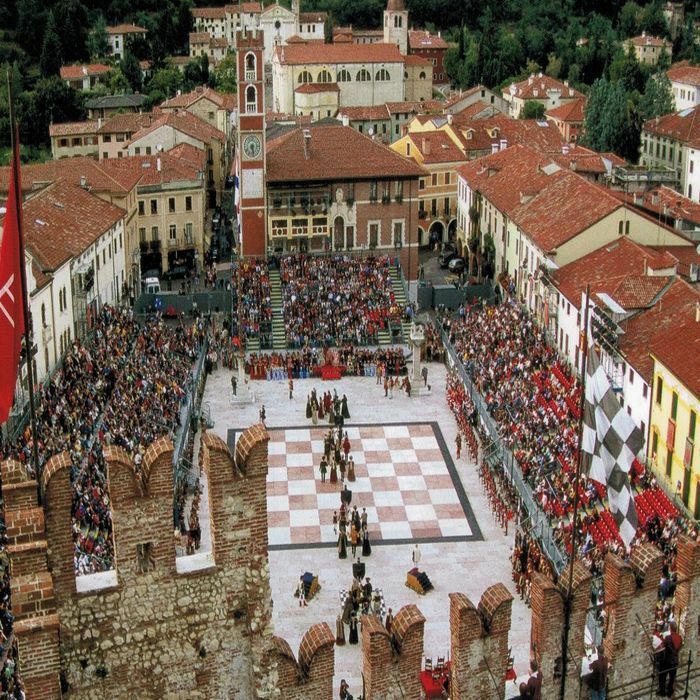 Each winter, the Cortina Winter Polo tournament, the most important yearly event in the area, is held in the city. During the 1980s, a group of Swiss came up with the idea of playing Polo in the winter, specifically of playing on the frozen lake of Saint Moritz. 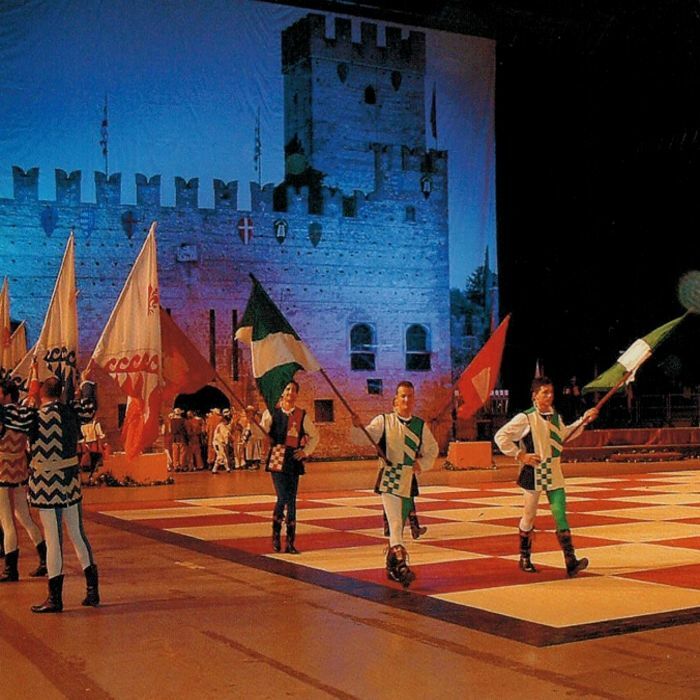 In 1989, a group of Roman friends who shared a passion for Polo decided to create a tournament in Cortina just like the one in Saint Moritz. The Cortina Winter Polo Gold Cup was born and quickly became one of the most prestigious events in Europe. 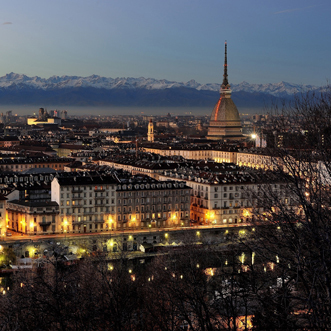 The presence of famous Italian and international entrepreneurs eventually attracted more and more people, making the city famous. Today, Cortina belongs to a network composed of twelve different internationally renowned ski resorts called “Best of the Alps”. Cortina offers 140 kilometers worth of different marked ski runs. 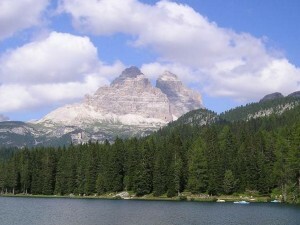 The longest run links Cortina to Dobbiaco and is about 30 kilometers long. Among the Dolomite Mountains in northern Italy, there is a beautiful and quiet lake: Lake Misurina, found in the historical area of Cadore. 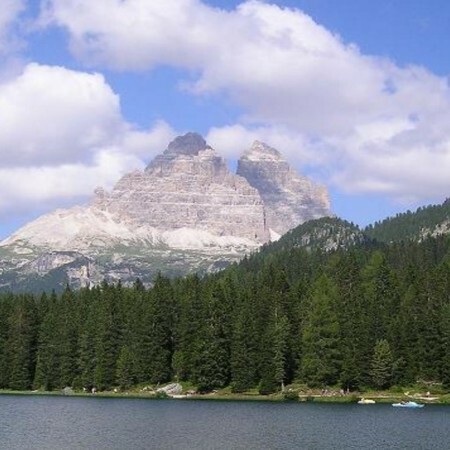 It is considered the biggest lake in the Cadore area, giving its name to the small town on its shore. The lake can easily be explored by foot thanks to the paths that were built around it. 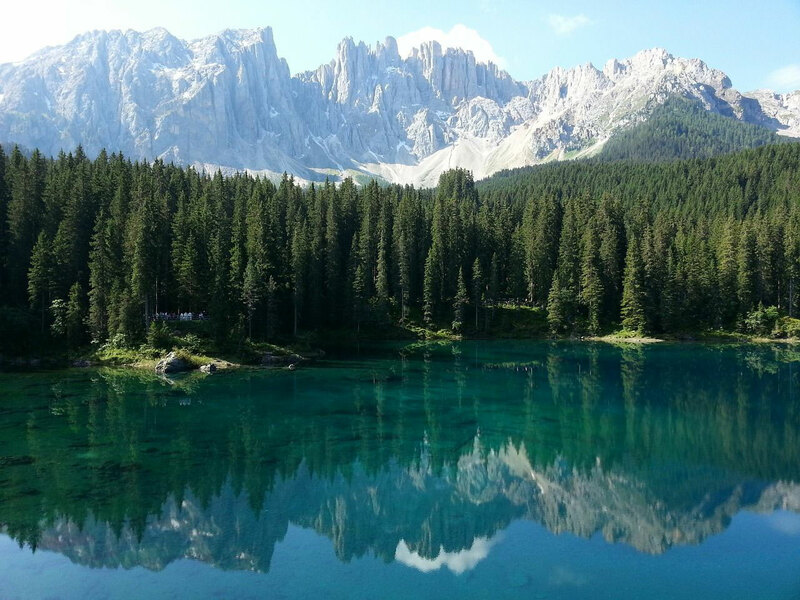 The whole tour takes approximately one hour and offers beautiful views on the lake, the forest and the Dolomites Mountains. 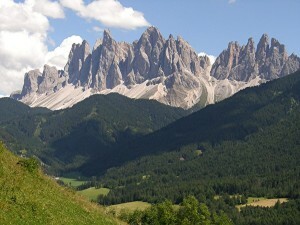 Category: Sightseeing Tours of Dolomities. 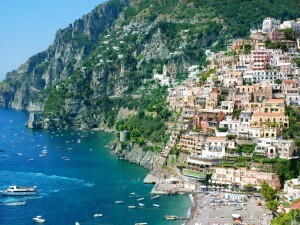 Tags: alps, Cortina, Day Trips From Venice, Dolomities, Lake Misurina, Veneto. Lake Misurina is located 1754 meters above sea level and is about five meters deep with a perimeter of 2.6 kilometers. 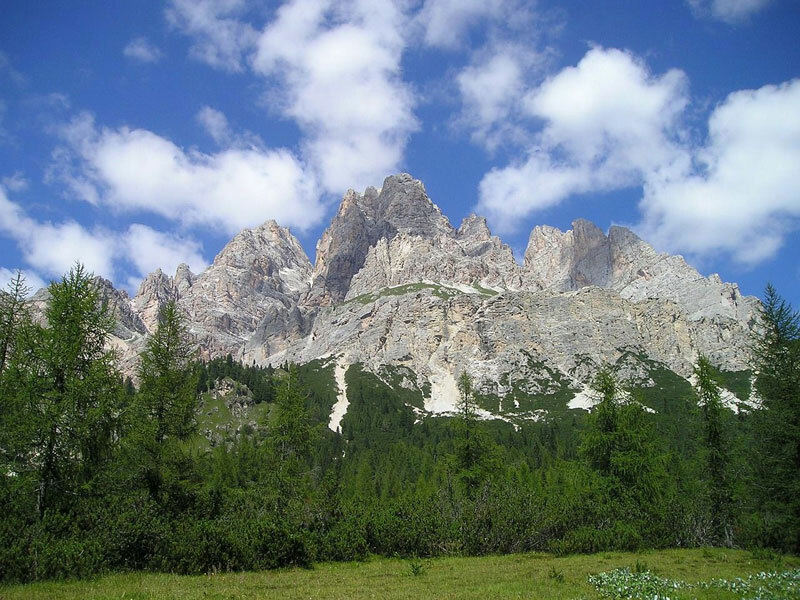 It is surrounded by different beautiful mountains: in the north we can see the summit of Tre Cime di Lavaredo (2999 meters), in the West is Monte Cristallo (3 221 meters) while in the East is the Gruppo dei Cadini. Finally, in the south is Mount Sorapiss, which is clearly reflected on the water. Lake Misurina is also surrounded by a great forest composed of many conifers and fir trees. The different mountains around the lake still have vestiges from World War I, including military roads, tunnels, caves and shacks. Now a quiet place, Queen Margherita of Savoy chose Lake Misurina as a holiday destination after her husband King Umberto I was assassinated by the anarchist Gaetano Bresci. The lake is not simply a popular holiday attraction; given that the air there is so pure, an important clinic that specializes in curing children with asthma was built to take advantage of it. 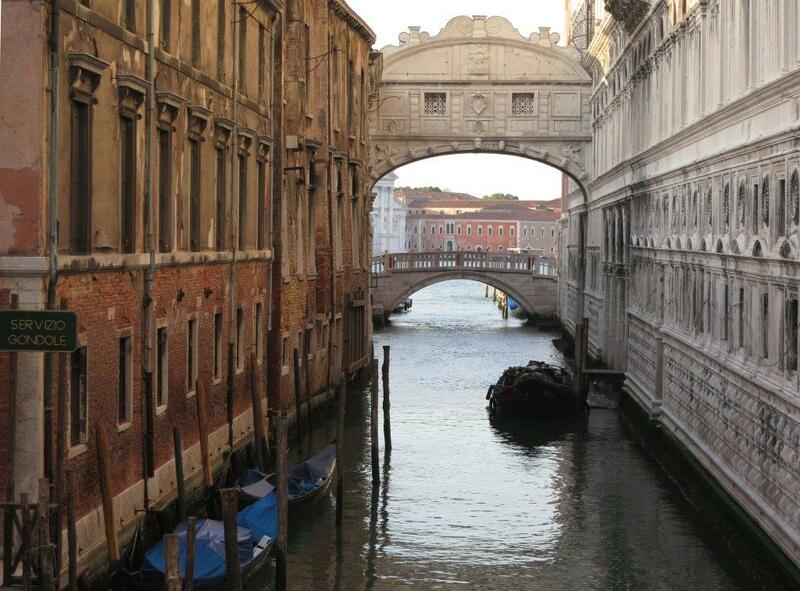 If there is one thing which clearly represents Venice, it is the gondola. 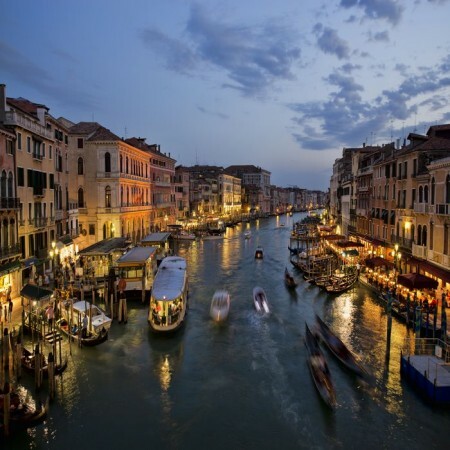 This famous boat was originally a common means of transportation for all Venetians, whether they were rich or poor. That said, those who did not row their own gondola themselves had someone else to do it: the “gondolier”, who was essentially a personal driver. 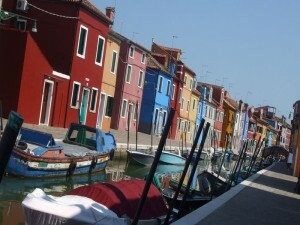 Each gondolier was dressed according to the colors of the family he was working for. Categories: Sightseeing Tours of Venice walking and boat, Sightseeing Tours of Walking in Venice. 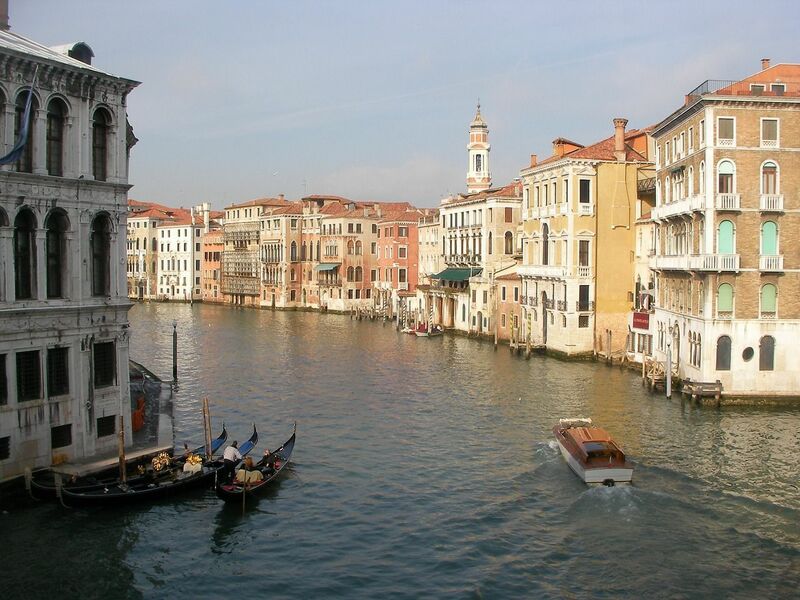 Tags: Canal Grande, Day Trips From Venice, Gondola, gondola ride, gondola serenade. 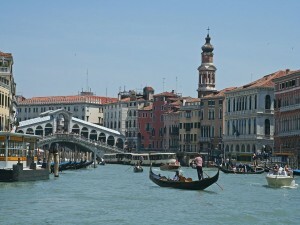 The first mention of the name “Gondola” is dated from the 11th century. 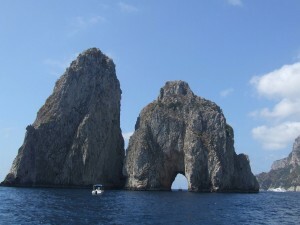 The boat’s name changed as the years passed; it was not until the 15th century that the term “gondola” was fully adopted. 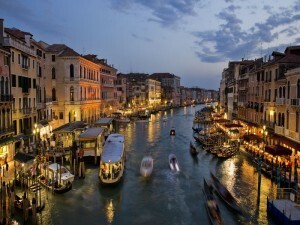 By the 16th century, there were no less than 10 000 gondolas navigating the canals of Venice. 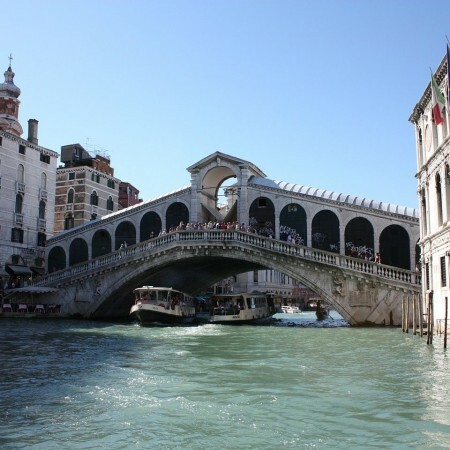 At first, gondolas were flatter and required two drivers but in the 19th century, they became asymmetrical in order to improve their navigation: both bow and stern were raised and the center of gravity was shifted to the right. 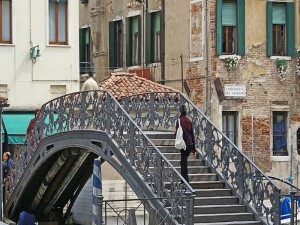 The gondolier would then push from the left, which allows the gondola some measure of balance in order to go straight. Composed of nearly 300 pieces from eight different types of wood, gondolas measure around 11 meters long and are only 1.38 in width at their largest point. 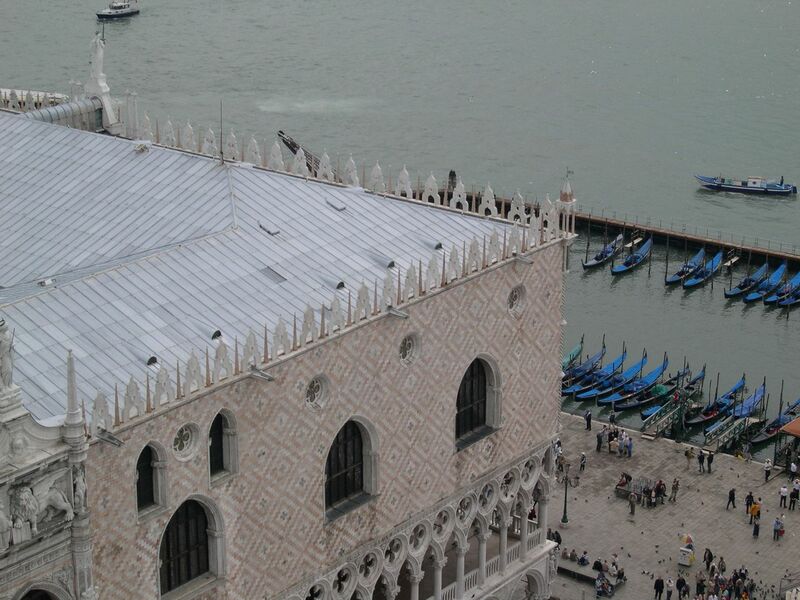 These flat-bottom boats have on the bow a special piece made of metal named “fero de prova” (in Venetian) or “ferro di prua” in Italian. 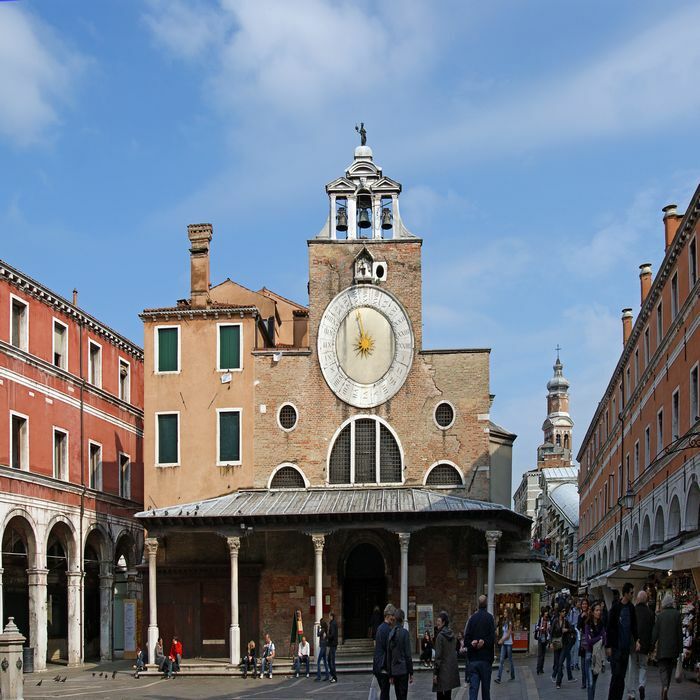 It represents many signs of the city: first, the hat of a doge, then the reversed S of the Grand Canal and third, the different islands of Venice that make up its six sestieri (districts): Canareggio Santa Croce, San Polo, Castello, San Marco, Dorsoduro and Island of Giudeca. 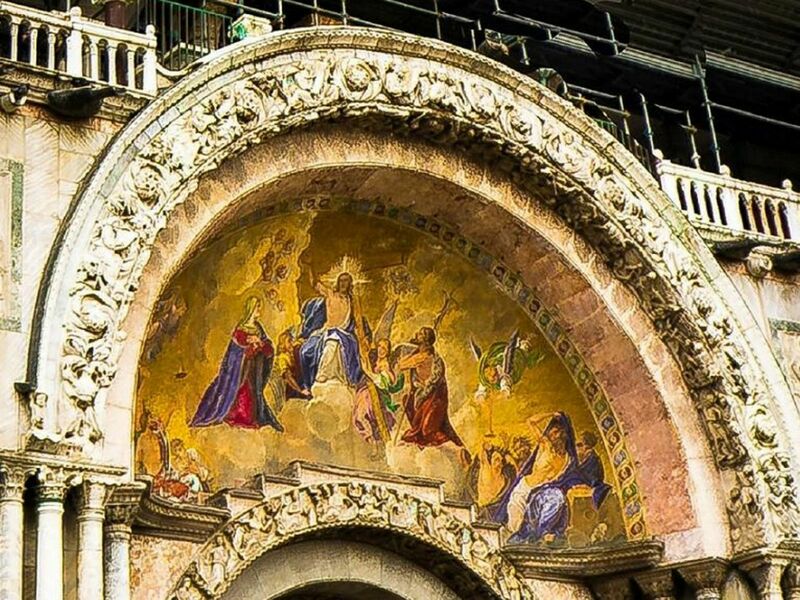 In the past, the gondolas were painted with beautiful colors and ornamented with precious stones. 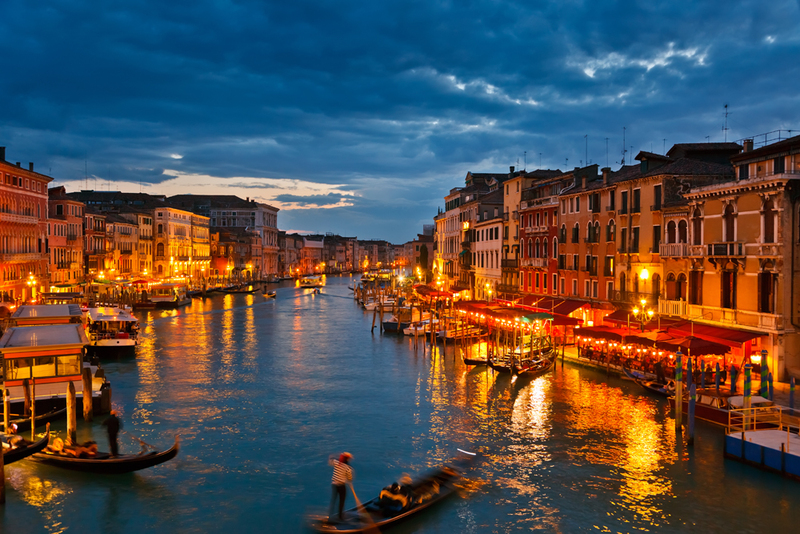 Noble families would compete with each other to have the most beautiful gondola in the city. 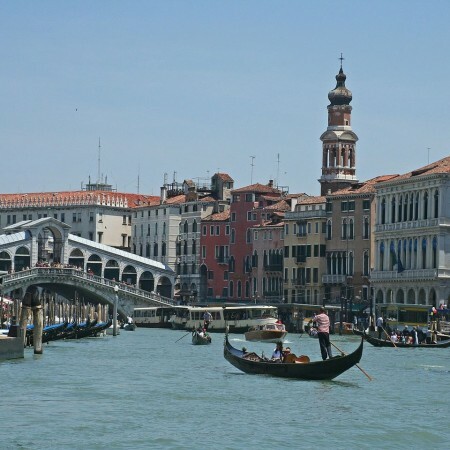 This phenomenon became so big that in the 17th century, the Doge published a decree saying that all gondolas had to be completely black and undecorated. 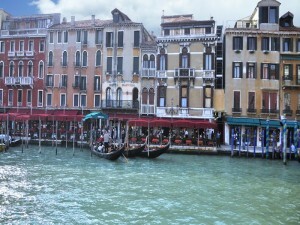 That is why today we can admire all these wonderful black gondolas. 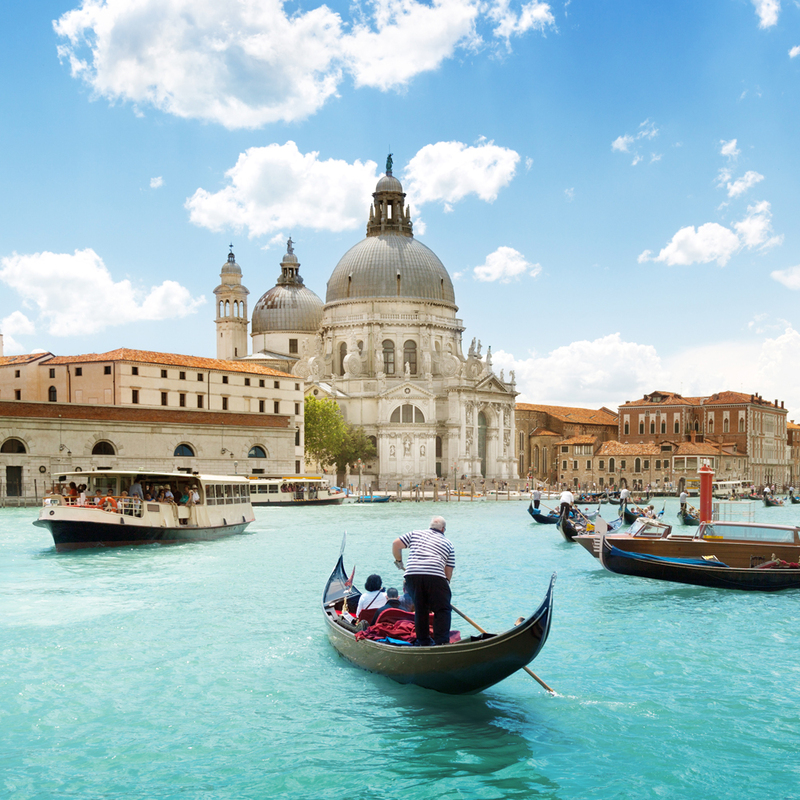 There are roughly 500 gondolas navigating the waters nowadays, most of which are in the business of taking tourists through the canals to explore Venice. 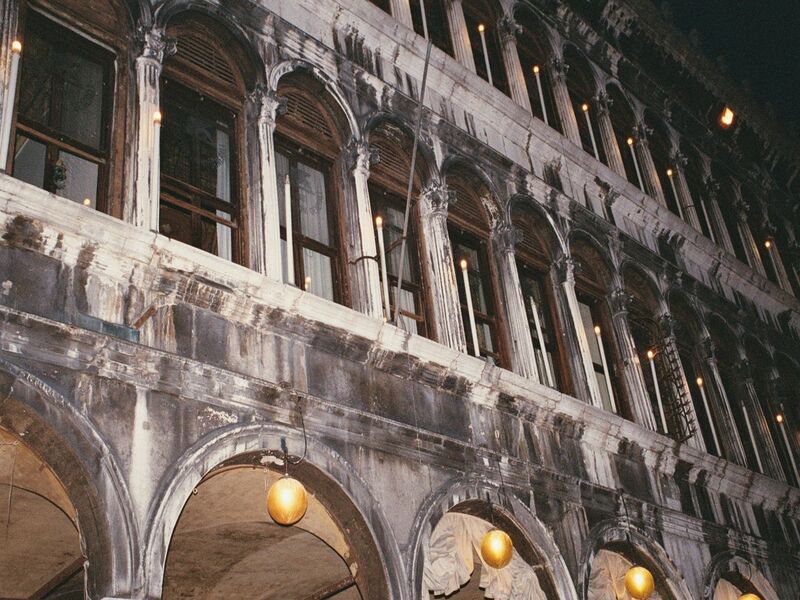 The Rialto district was one of the first areas of Venice where people settled. 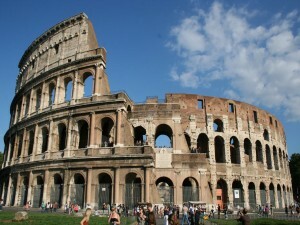 It developed quickly and became an important economic center in the city. Banks, shops and vendor stalls congregated here while merchants from all over the world came to trade charcoal, wines, seeds, jewels and many other things. 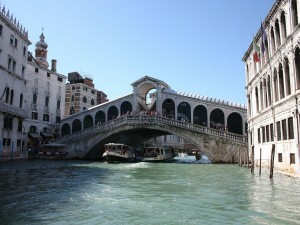 This richness of activity convinced the government of the Republic of Venice to connect the business district to the political district, leading to the inception of the Rialto Bridge. The very first Rialto Bridge was made of boats moored to each other. This system lasted until the 13th century as it was not very convenient; if the boats needed to move, it was a tedious process to remove the planks that connected one boat to the other. An actual wooden bridge was built but the wood quickly decomposed and the bridge collapsed. 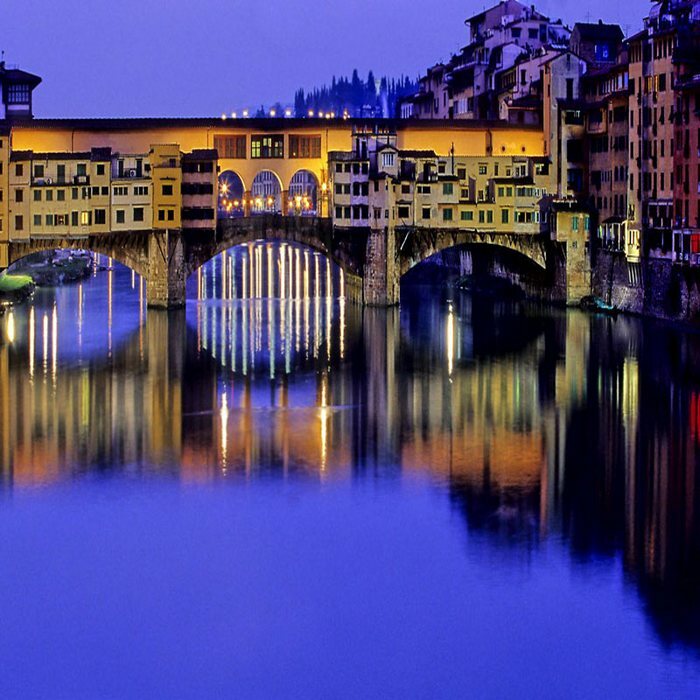 Many other wooden bridges were built over time with the same result –or worse, they were destroyed by fire. 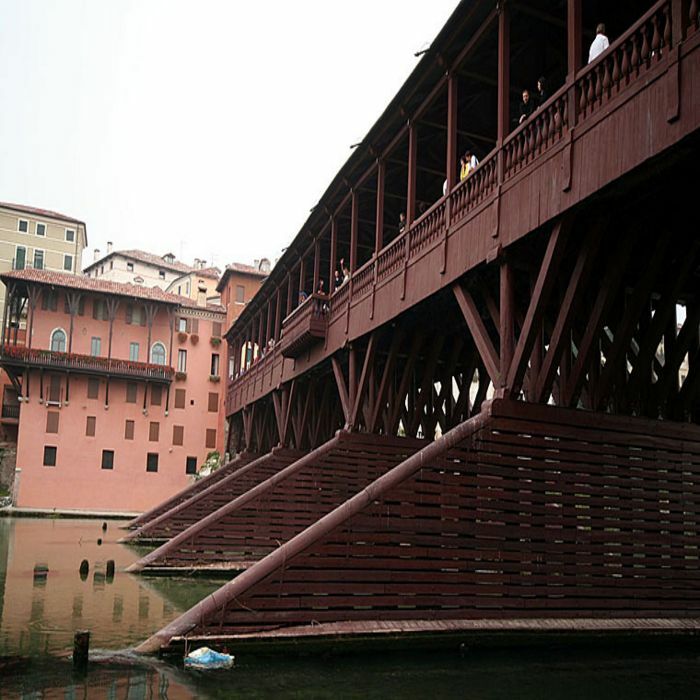 Unfortunately, at that time the construction of wooden bridges was easier and cheaper than the alternative. 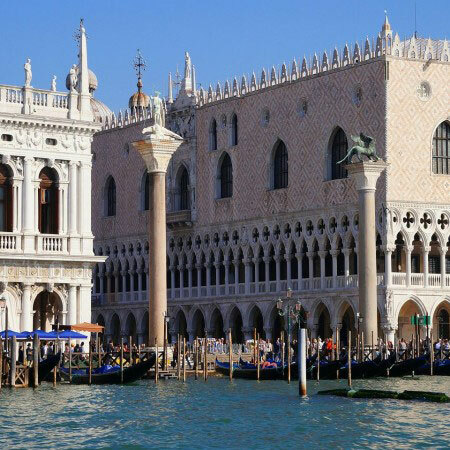 Categories: Sightseeing Tours of Secret Venice, Sightseeing Tours of Venice Jewish Ghetto, Sightseeing Tours of Venice walking and boat, Sightseeing Tours of Walking in Venice. 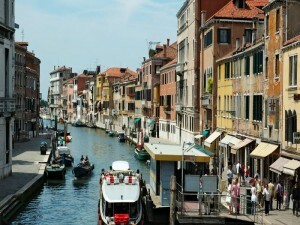 Tags: Canal Grande, Day Trips From Venice, Gondola, Rialto Bridge. 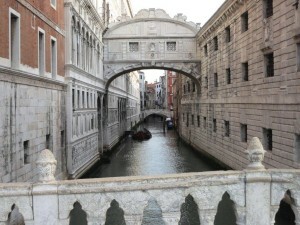 It was not until the 16th century that Venetians finally decided to build the bridge out of stone. 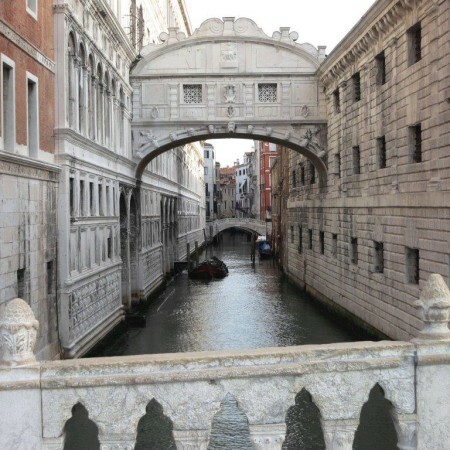 Many famous architects such as Palladio, Sansovino and Michelangelo offered their designs for a new bridge with several arches. 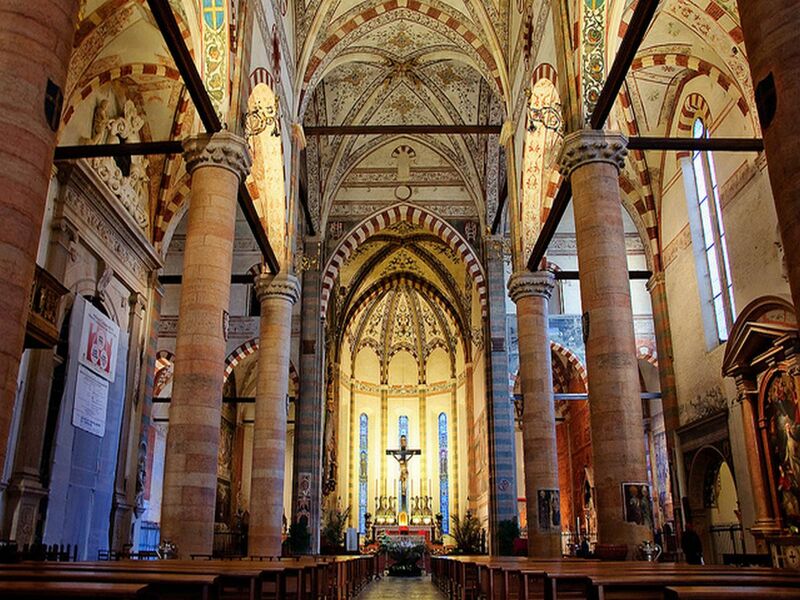 In the end it was the proposal of Antonio Da Ponte, with only one arch, that was chosen in 1588. 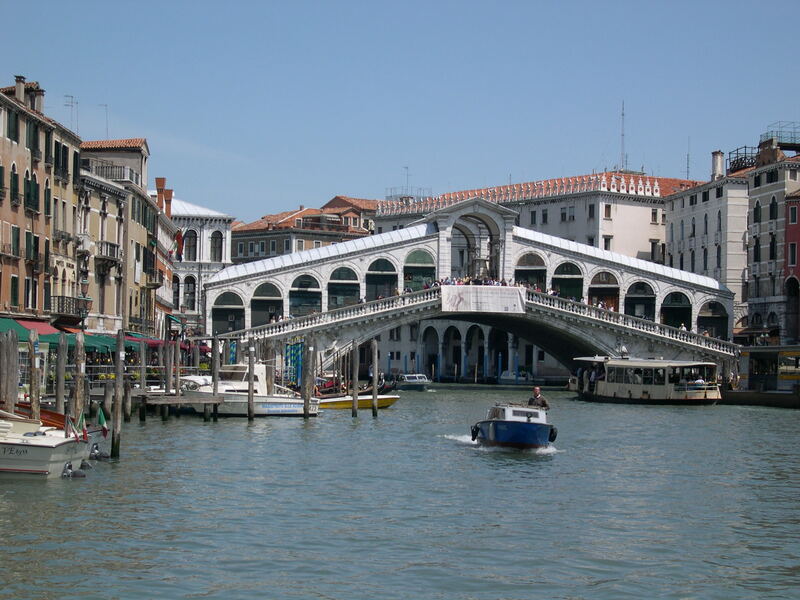 For a long time, the Rialto Bridge was the only bridge on the Grand Canal, however now there are four. 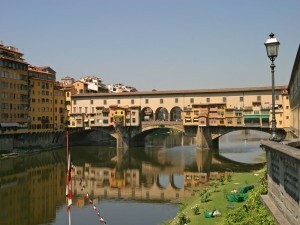 The Ponte dell’Accademia and the Ponte Degli Scalzi were both built during the 19th century while the last bridge, the Constitution Bridge, is very recent –it was inaugurated in just 2008! 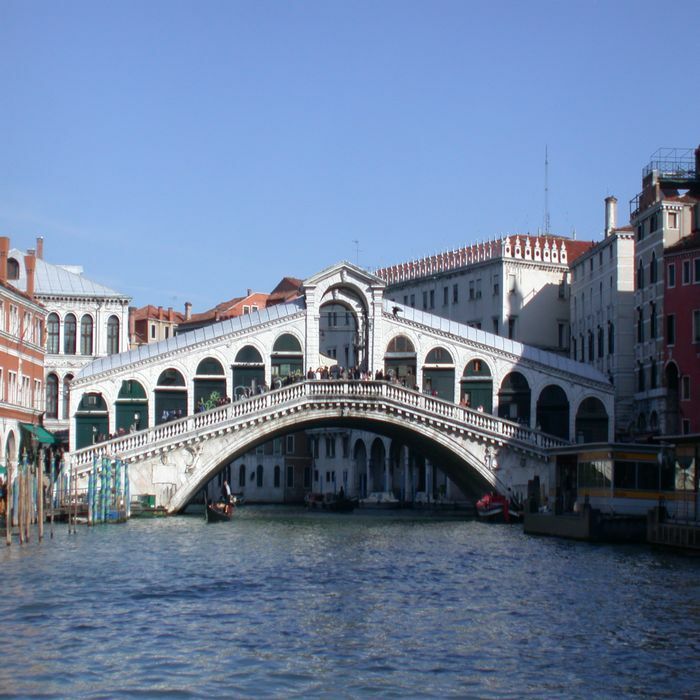 Very often criticized in its day, the Rialto Bridge has survived floods and thousand of tourists and Venetians alike crossing it every day. 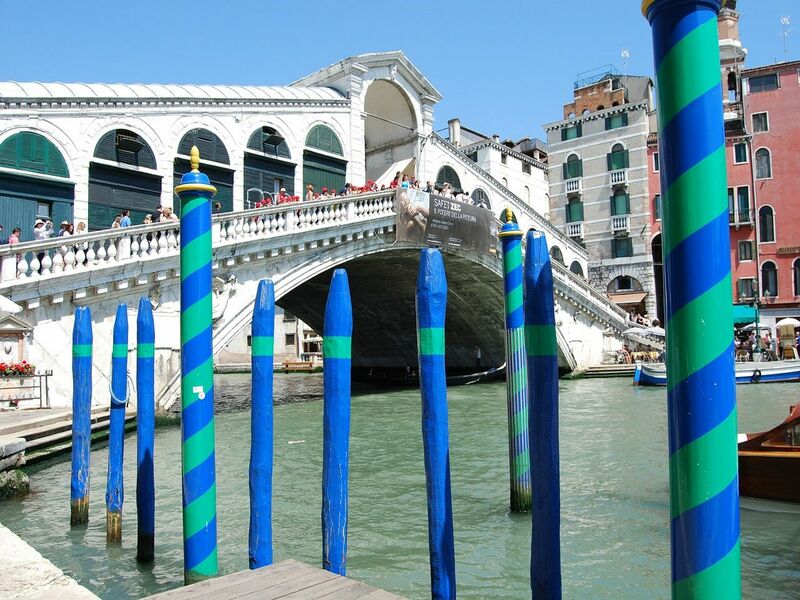 Today, the Rialto Bridge is one of the emblems of the city; it can be seen on nearly all advertisement for Venice and is often used to illustrate anything related to the city of Venice. 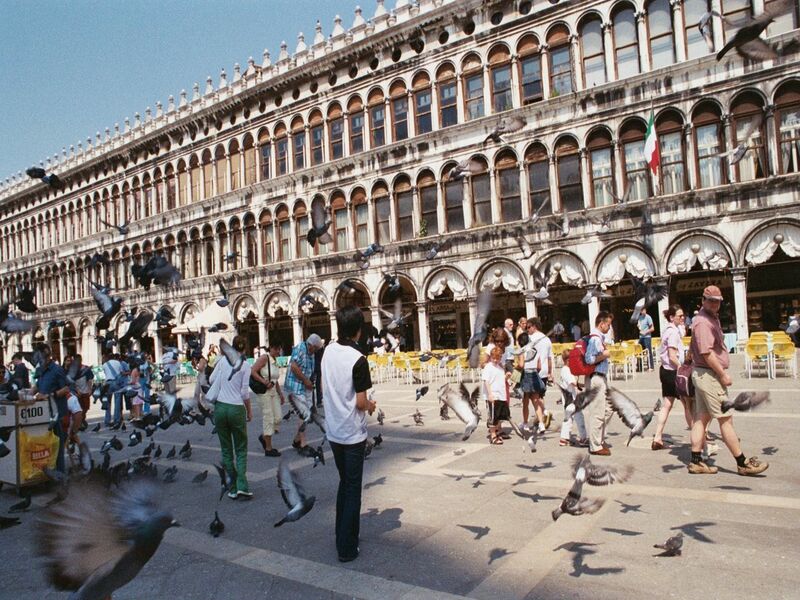 Venice, sometimes referred to as the “Serenissima Repubblica di Venezia”, has always been a fascinating city. 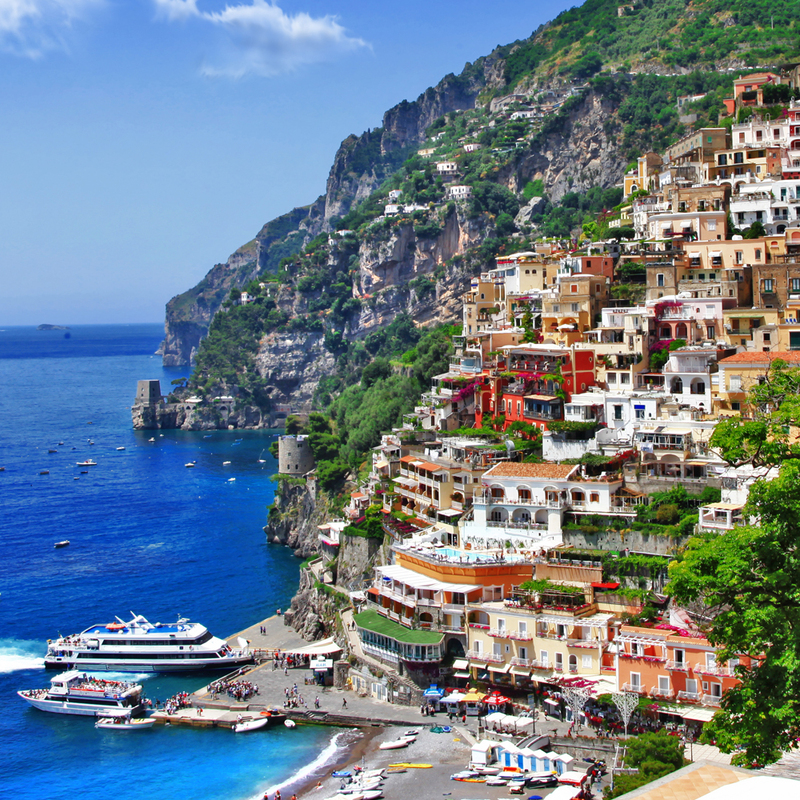 In fact, it is considered one of the most fabulous cities in the world, looking like no other with its canals and colored palaces built on the water. Its carnival in February is, of course, something not to be missed: each year the city maintains this traditional carnival that originates from the Middle Ages and during which people compete with the most beautiful of costumes and masks. 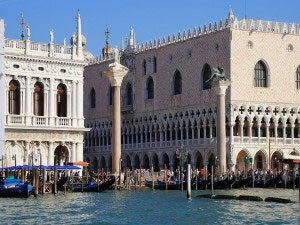 The original population came to Venice in the early 5th century in order to escape from the invading barbarians. 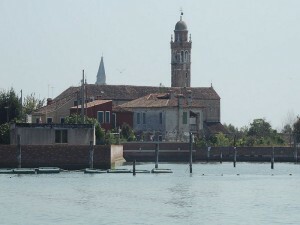 Many refugees escaped the mainland and increased the preexisting population of fishermen, turning Venice into a thriving trade city. 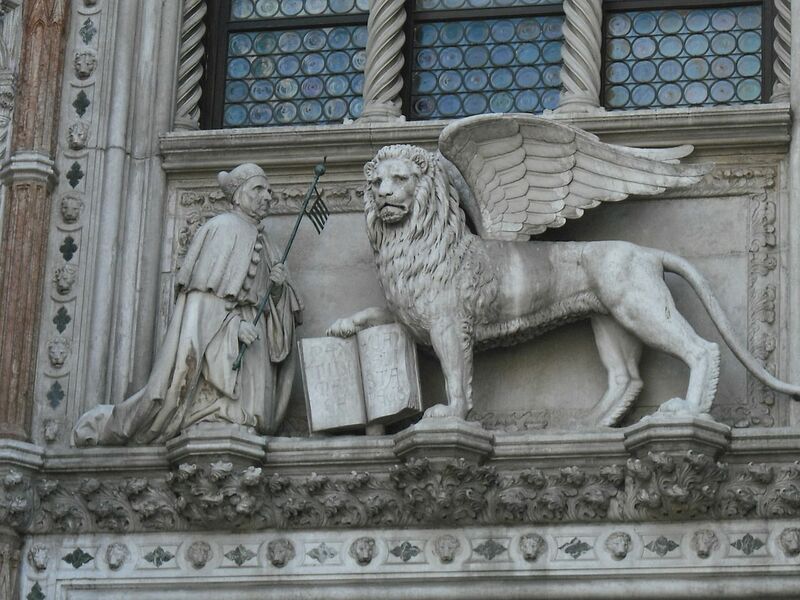 During the decline of the Roman Empire, Venice became the property of Byzantium. 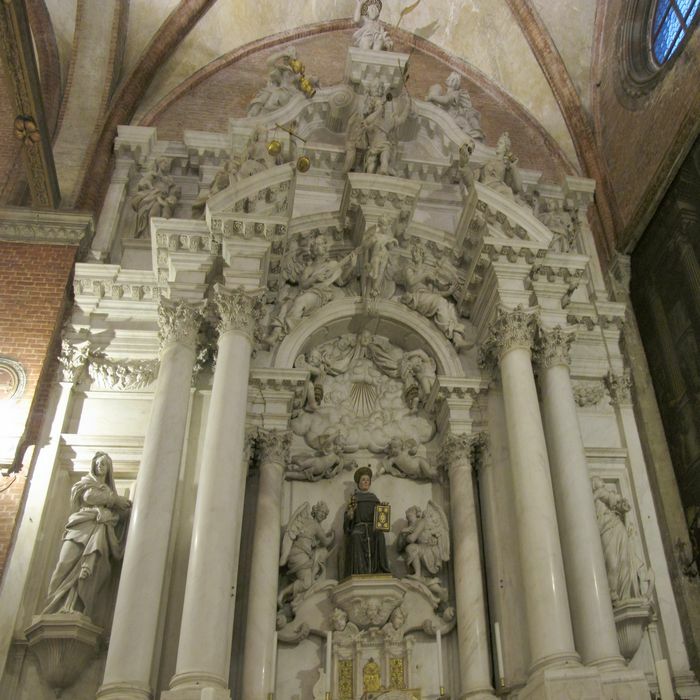 The first person to uphold the traditional role of Doge was Paolo Lucio Anafesto, nominated in 697, but he was considered more of a Byzantine official. 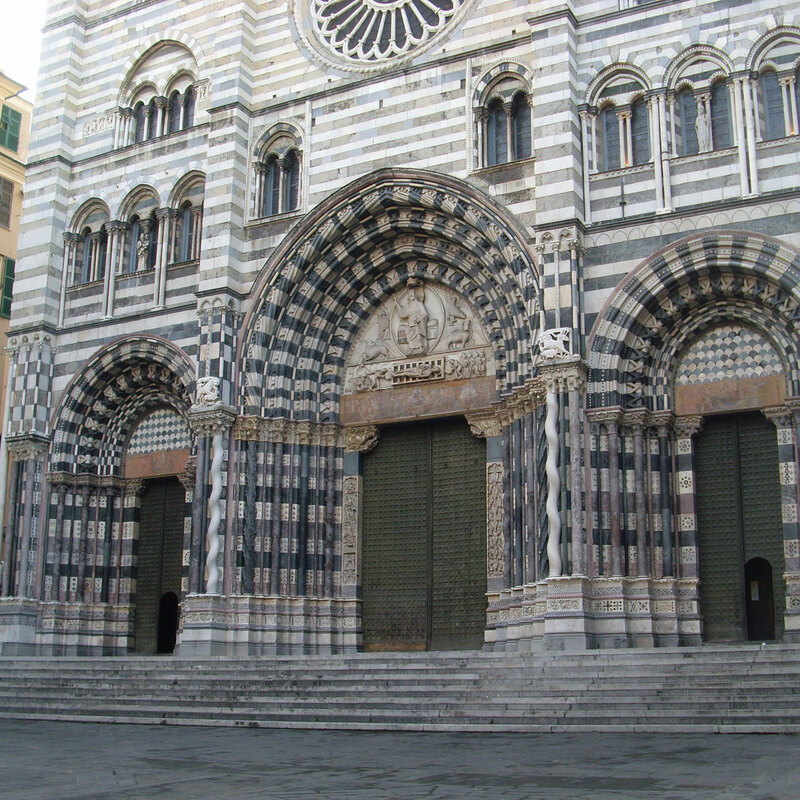 It was not until 727 that a real Doge, Orso Ipato, was elected. 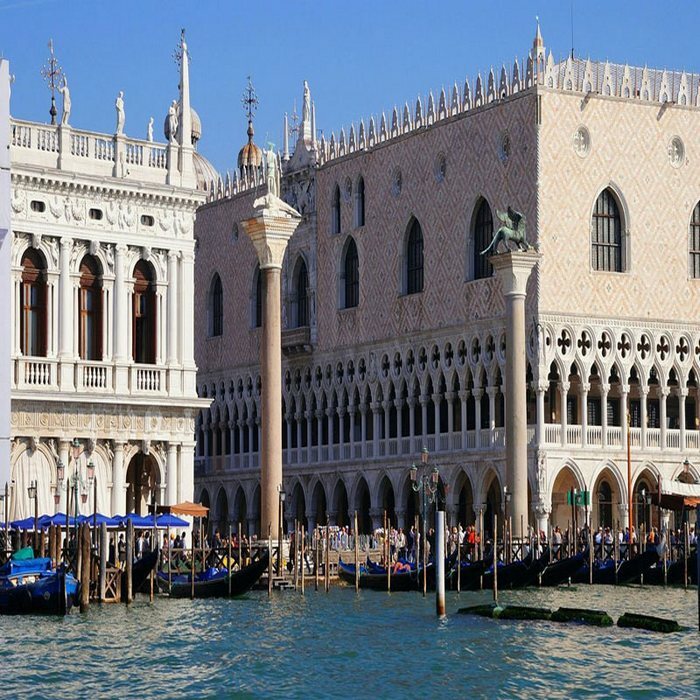 The decline of Venice started during the Renaissance period when the rival city of Genoa became more powerful thanks to the discovery of the North America. 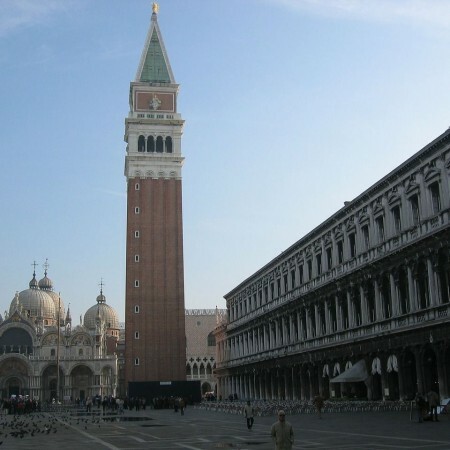 In 1797, the territories of Venice were shared between Austria and France then in 1866, Venice joined the Italian Unification, leading it to where it is now. 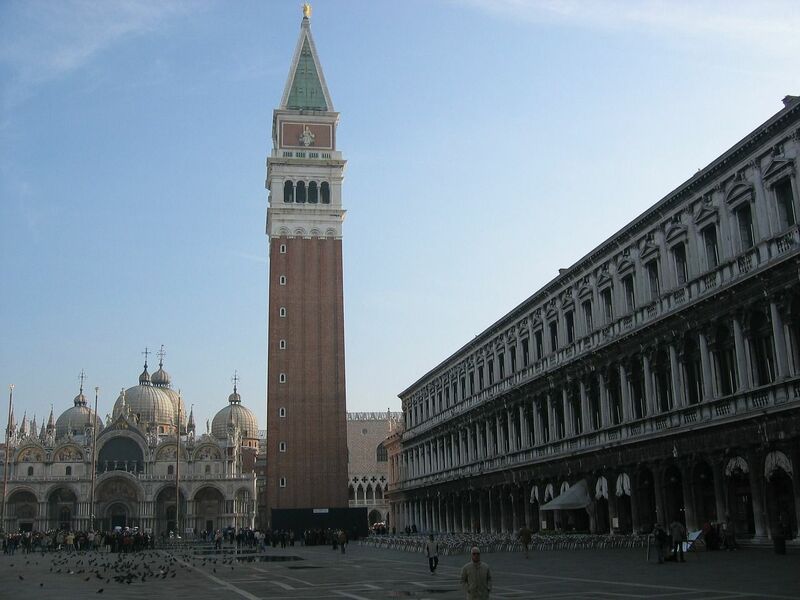 Categories: Sightseeing Tours of Secret Venice, Sightseeing Tours of Venice Jewish Ghetto, Sightseeing Tours of Venice walking and boat, Sightseeing Tours of Walking in Venice. 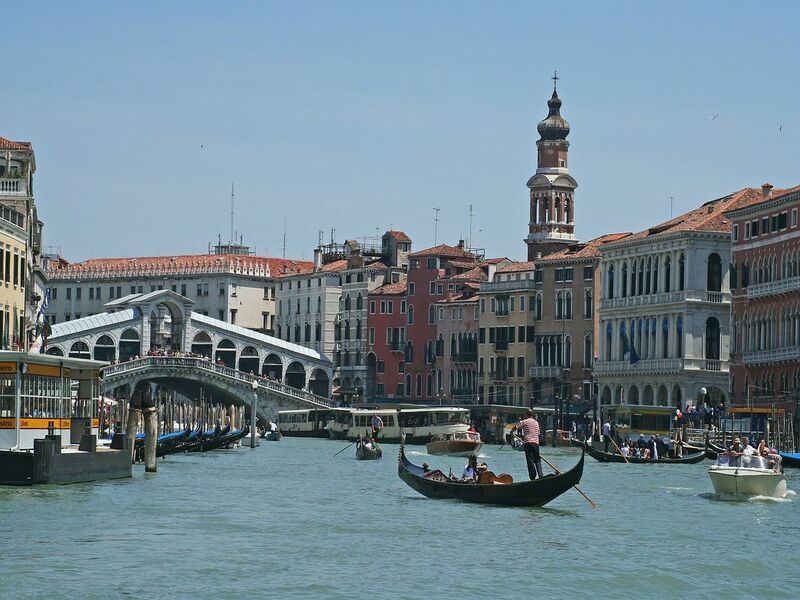 Tags: Canal Grande, Day Trips From Venice, Doges Palace, Gondola, Rialto Bridge, Serenissima, St. Mark. 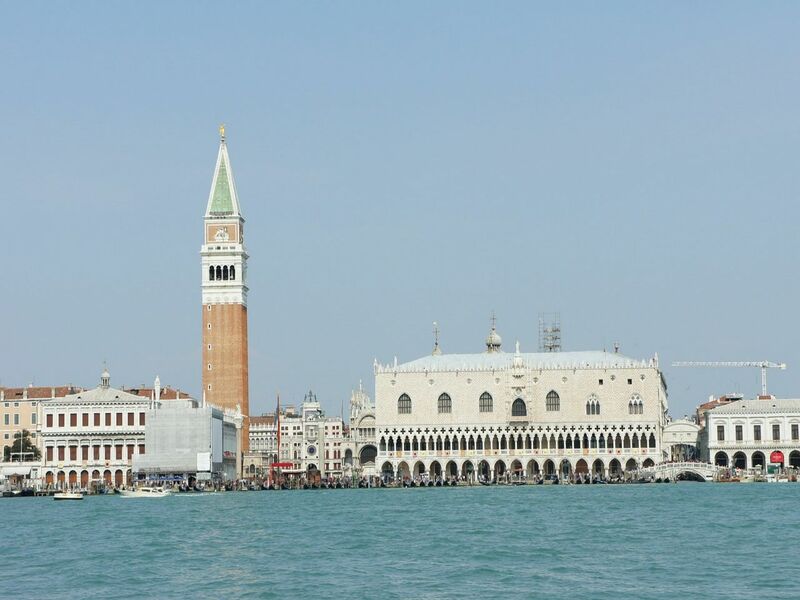 Venice is composed of six different districts: Cannaregio, San Marco, Castello, Santa Croce, Dorsoduro and San Polo. 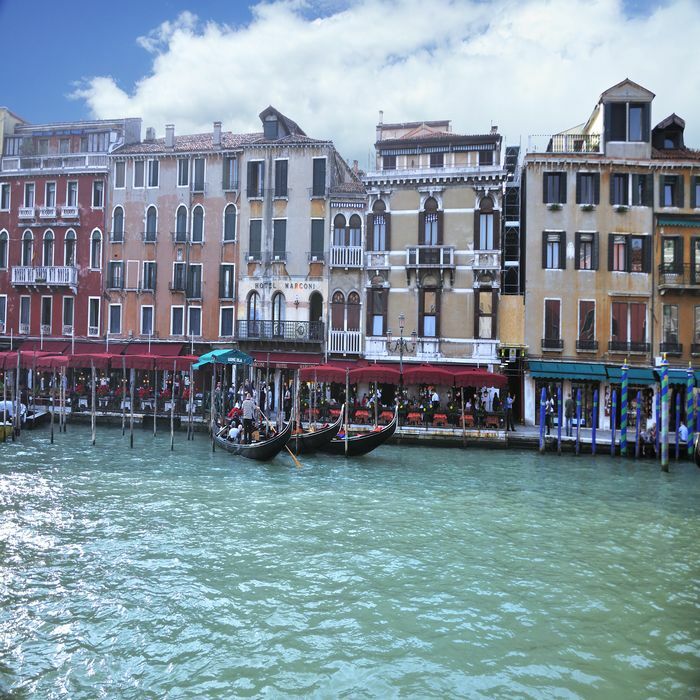 The city is built on more than 100 hundred islets made of mud, with more than 400 bridges to allow people a cross the different canals that run through the city. The three most famous Venetian bridges are: the Accademia Bridge, the Rialto Bridge and the Bridge of Sighs. 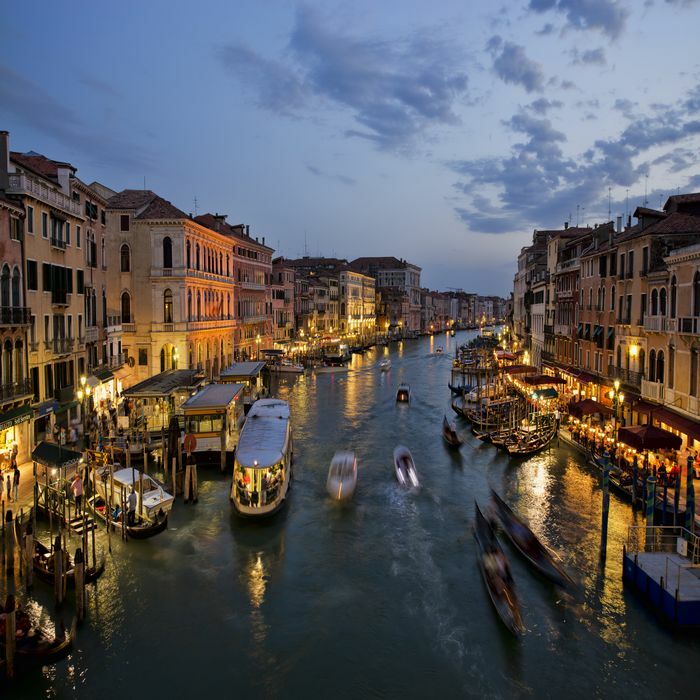 Nowadays, Venice attracts thousands of tourists each year and organizes many events and festivals such as the International Architecture Exhibition between June and September, the Carnival of Venice in February, or the International Venice Film Festival in September. Unfortunately, the fate of this legendary city is in great question: many plans have been made to save it from the rising waters and pollution but its future is still uncertain.